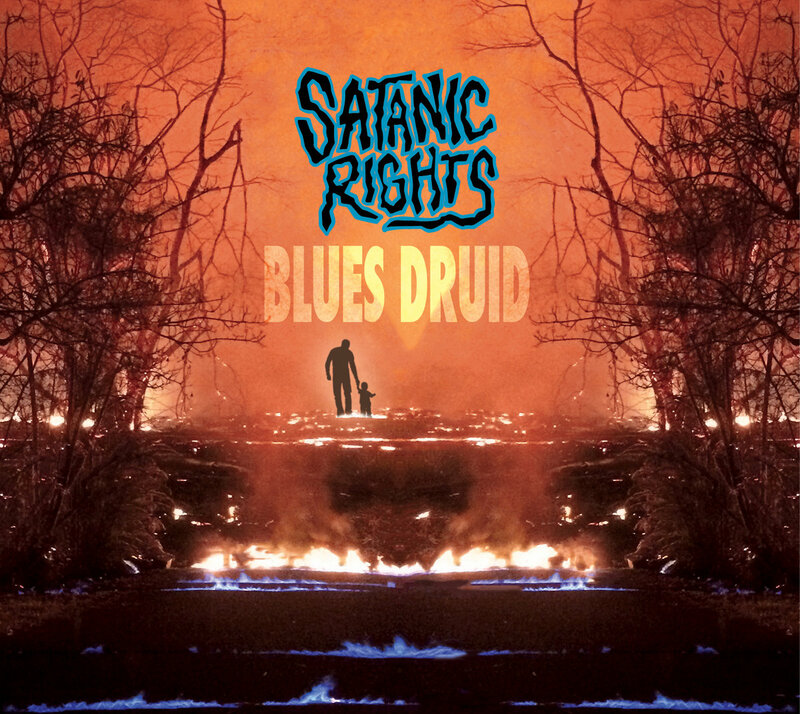 Winnipeg rockers Satanic Rights have recently launched their new album entitled “Blues Druid” via Transistor 66 Records. Singer Karl Warkentin spoke for Rocking Charts about the band’s beginnings, the new music, and more. Hello! Thanks for responding to this interview. How have you guys been lately? Our pleasure. We released our album ‘Blues Druid’ last month, played our official show which we put a hell of a lot of effort and energy into, so for a few weeks we just worked getting CDs and tapes out there. We juuuuuuuust started writing again. How might you introduce yourselves to new potential listeners? That’s a tough question. Desperate Rock n Roll? Nervous Breakdown Grooves? It’s pretty catchy either way. What inspired the name of the band — Satanic Rights? Everyone deserves a voice right? How did Satanic Rights initially form as a creative unit? Our motto is “3 guys doing a favor for a 4th”. We’ve all been in a couple of bands in our day, we all went to a lot of the same shows. Somehow, this all happened. Our practices now are barely different from how they were when we started. Sit around drinking and listening to music, then we almost play a whole song… more drinks, go home. 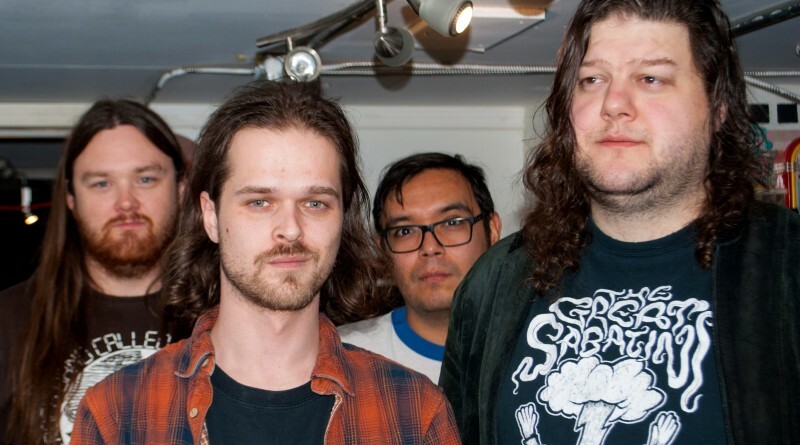 You launched a new album recently via Transistor 66 Records. Where did the inspiration for “Blues Druid” come from and how did you go about the whole process of writing and recording it? What can listeners expect from “Blues Druid”? It’s a genuinely fun album. I’d think that it belongs up there in the Transistor 66 back catalog. The music we play is most heavily inspired by nights in the mid 00’s at the Royal Albert. It was a real special time for this city’s music scene, and our goal was to replicate that as best we could. If we have a completed a song, it’s usually by accident. Everyone writes their own parts, which is not a formula that typically works for bands, but I dunno, we keep just falling in to fully written songs. Someone brings something to a practice, then everyone tries to figure their own thing out, and it sounds awful until it doesn’t. The process has been working pretty well so far. What are your ultimate hopes for Satanic Rights? Do you have any bigger plans for the future? I kinda doubt that rumor about us playing Budakon is true, nor those fake ads about us at MSG. Hard to say, we wanna tour with our album next year, probably write and record another as well. We’re having so much fun, so I guess the big plan for the future is to have more fun. Whatever comes with that along the way is a bonus. Thanks for your time, and attention. It’s hard to convince folks to check us out without sounding cocky, but I’d think we’re worth a listen and a look. We’d be more than happy to play your basement or backyard to show you we mean business. Our set will include 2 covers and a greasefire. “Blues Druid” is out now; order it from Transistor 66.